The head of an Iraqi resistance group says the Middle East region’s woes have worsened ever since the onset of the United States “war on terror,” Press TV reports. 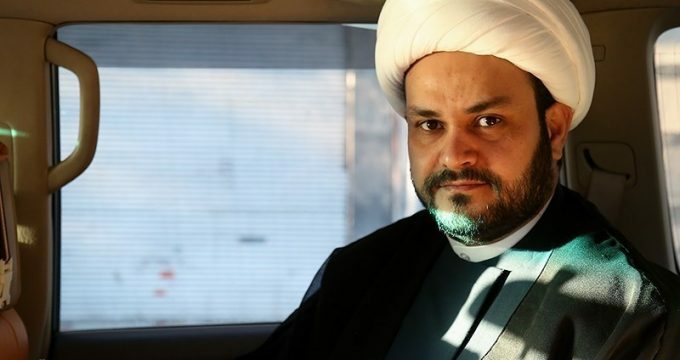 Akram al-Kabi, the Secretary General of the Harakat Hezbollah al-Nujaba (HHN), which fights militancy throughout the war-scarred Iraq, made the remarks to Press TV in an exclusive interview, parts of which were broadcast on Wednesday. “The United States has never played a positive role since its entry into the region. Problems and conflicts worsened with the US occupation of Iraq and, before that, Afghanistan,” he said. The invasions, undertaken in 2001 and 2003, prompted far-and-wide anti-Washington sentiment and grass-roots intolerance of foreign meddling. The chaos that ensued provided for the proliferation of militant groups fighting central governments. The US war on Iraq has been blamed for the emergence of the Takfiri terrorist group Daesh, which has been operating in Iraq and Syria since 2014 and has recently spread to Libya, Afghanistan, and Yemen, too. Kabi further blasted the US-led campaign that purports to be fighting Daesh in Iraq and Syria but has stopped well short of dismantling the group. A US warplane is seen on the flight deck of the aircraft carrier USS Dwight D. Eisenhower, deployed in the Persian Gulf, preparing for a mission in support of the US-led campaign in Iraq and Syria, July 22, 2016. Iraq never asked for US help in fighting Daesh, he said, accusing the US-led coalition of carrying out airstrikes near Iraq’s army bases on many occasions. The Iraqi resistance movement’s chief also said the US-led campaign had helped anti-Iraq groups such as the Baath Party, which used to tyrannize Iraqis under former dictator Saddam Hussein, find the necessary breeding ground to come out of the cold and trouble the country anew. Daesh is believed to have been formed by Saddam loyalists and other extremist groups in Iraq.